View EXIF info without any problems. You are here: CoolUtils > Total CAD Printer > View EXIF info without any problems. Total CAD printer is a versatile graphic file printer, which supports DXF, DWG, PLT, HG, HGL, HPG, PLO, HP, HPGL, HP1, HP2, HPGL2, GL2, SPL, PRN, SVG and CGM formats. 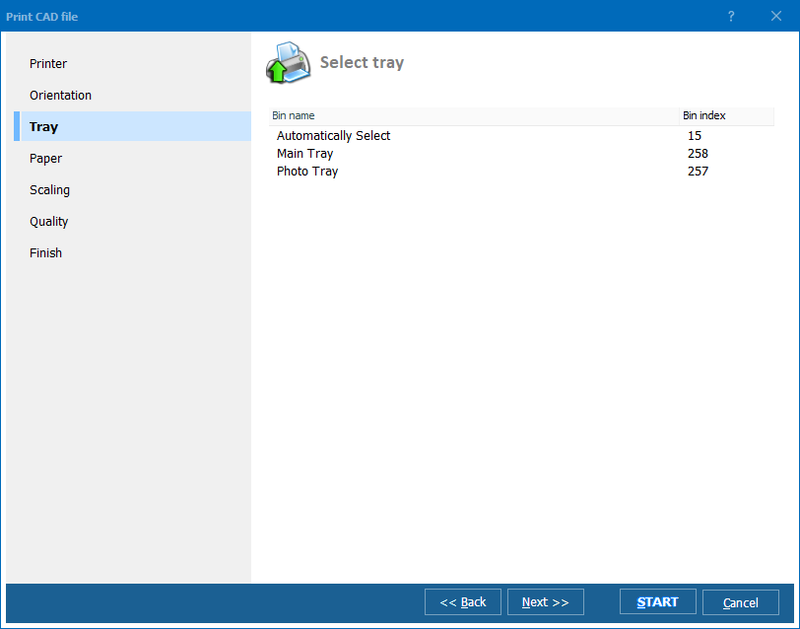 This utility was designed to save your time and manage files and folders in just seconds. This is what CAD file users have been dreaming about for so long. Now they have a chance to manage tasks without resorting to AutoCAD. By aid of Total CAD printer, you can dispatch specified CAD files to specified printers. You can work with several printers at the same time. AutoRotate option allows you to set just one orientation for many files. 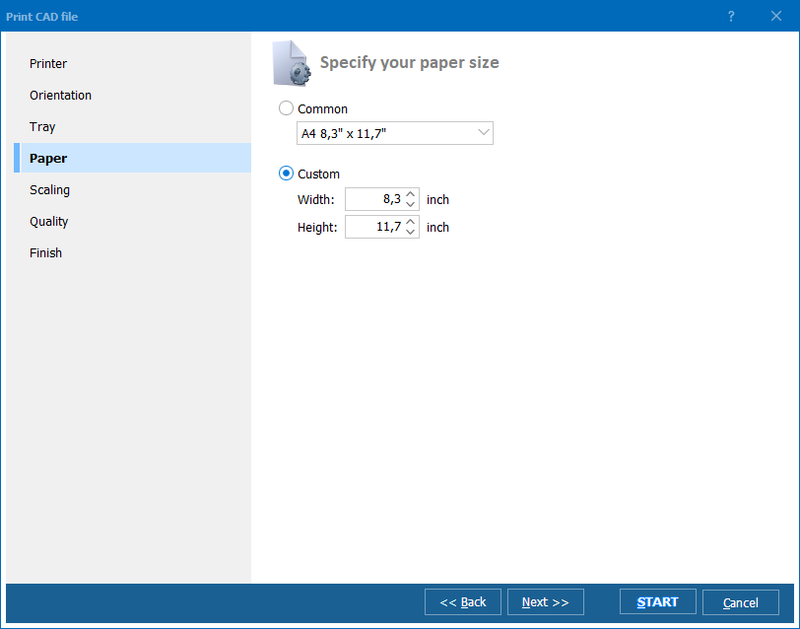 Before printing DWG files, you can fit your drawings to your required size via Fit to Page option. This CAD printer is but the easiest-to-use utility imaginable. In times when fast mastery of subjects is the core of successful business, it is an irreplaceable tool. Its robust one window interface and friendly Wizard will guarantee quick and easy learning. Working with Total CAD Converter is a sheer pleasure cruise! How to Print DWG files? 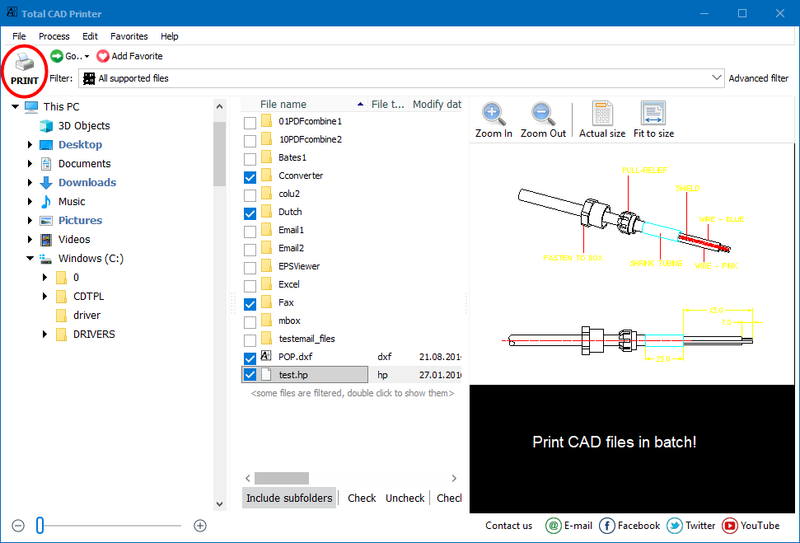 Run the program and choose the needed folder with CAD files in the folder list. You will see a list of files contained in the selected folder in the file list. Specify files to be printed by checking/unchecking them and click Print to complete the operation. Batch function allows you to print DWG files in large numbers in one go. If you store your CAD files in a certain folder, you can specify it as your favorite one. To do so, select one in the folder list and click Add favorites. You can purchase our versatile DWG printer online right now. All you have to do is pay a very moderate fee and get all the upgrades and technical information for free. Please, tell us whatever you think is wrong with our product. If you are not ready to buy the registered version yet, you can download a trial version and use it for 30 days.